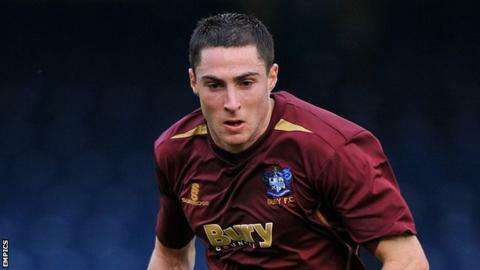 Crawley Town have completed the signing of Sheffield Wednesday midfielder Mike Jones for an undisclosed fee. The 25-year-old, who played under Reds boss Richie Barker at previous club Bury, has signed a two-year deal with the League One side. Meanwhile, Peterborough forward Nicky Ajose has extended his loan stay at the Broadfield Stadium until 1 January. The West Sussex outfit have an option to make the deal for the 20-year-old permanent in January. Ajose joined on an initial three-month deal earlier this month and has scored two goals in four appearances for the League One side. "Nicky has made a big impression in his short time here," Crawley manager Richie Barker said. "He has fitted in really well in the squad and will be an important part of what we are trying to achieve this season. "Mike can play in central midfield or on the right-hand side so he will bring competition for places in an important area of the pitch."